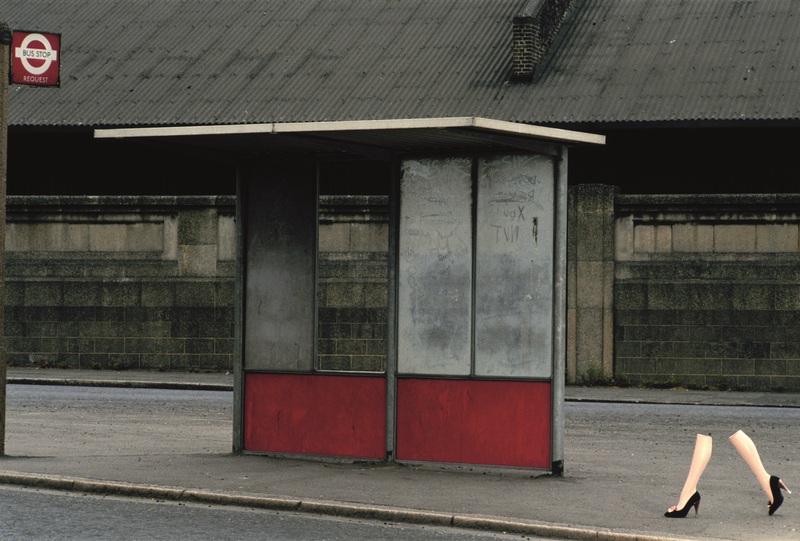 While choosing images for our book 70s Style & Design, there was one photographer whose work we had to feature — Guy Bourdin, currently the subject of an exhibition at London’s Somerset House called Guy Bourdin: Image-Maker. Why? Well, Bourdin, who had a great eye for composition and a rather peculiar yet gorgeous colour palette, dreamt up some of the decade’s most glam, arresting fashion images. We also wanted to include one of these because they chimed perfectly with some of our book’s main themes — pop style, avant-garde fashion and a 70s infatuation with Surrealism. Indeed, the decade was awash with Surrealist imagery but Bourdin wasn’t jumping on the bandwagon: born Guy Louis Banarès in Paris in 1928, Bourdin got hooked on Surrealism from an early age and became a protégé of Man Ray, whom he met in 1950. His first fashion shots were published in 1955 by French Vogue, which also featured the photographs of his contemporary, Helmut Newton, another fervent admirer of Surrealism. From 1967 to 1981, Bourdin photographed shoe designer Charles Jourdan’s ad campaigns, their unique style founded on surreal compositions and saturated colours. By the 70s, as a fully fledged photographer, Bourdin was at the vanguard of a new trend that saw Surrealist influences — notably Ray, Salvador Dalí and René Magritte — collide with pop style, itself mainly inspired by Tom Wesselmann, Claes Oldenburg and Roy Lichtenstein. This resulted in a surreo-pop hybrid that informed all areas of culture and design, from fashion and furniture to illustration and advertising. Since both the pop and Surrealist movements rejected rationality outright, this wasn’t such a surprising union. Hinting, like much sinister Surrealist art, at violence yet vibrantly pop in its predilection for hot pink, emerald green and turquoise, Bourdin’s work embodied this crossover. His hard-edged, super-stylised colour photographs also prefigured the late 70s vogue for vampish, garish make-up typically teamed with body-con clothing and dagger-sharp disco heels — a look we’ve nicknamed ‘hard gloss’! Although we’d researched Bourdin’s images in books and online, the Somerset House show — which features more than 100 colour images, Polaroids and Super-8 films, produced from 1955 to 1987 — shed a lot more light on this 70s snapper. 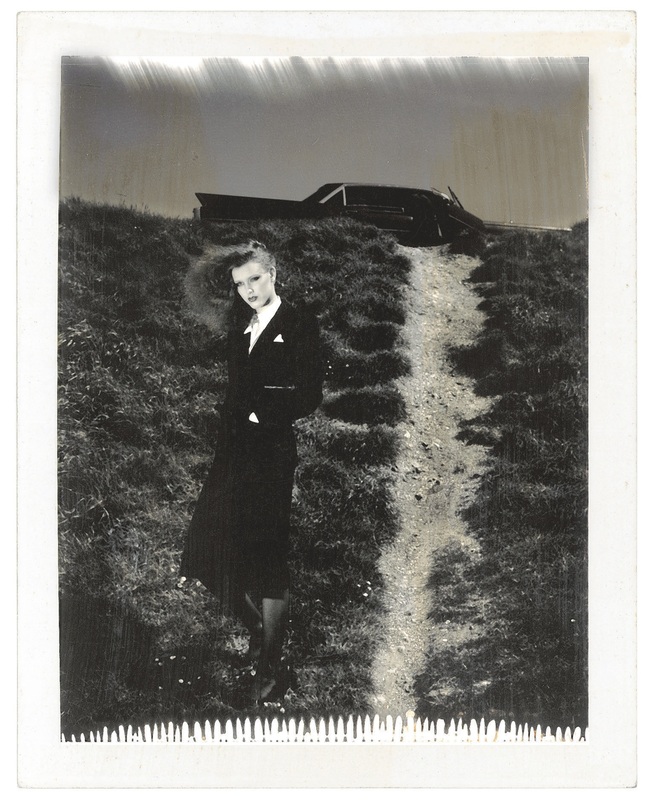 To our surprise, we discovered that Bourdin travelled around Britain with his partner and son in a black Cadillac — well, there had to be a glam element! 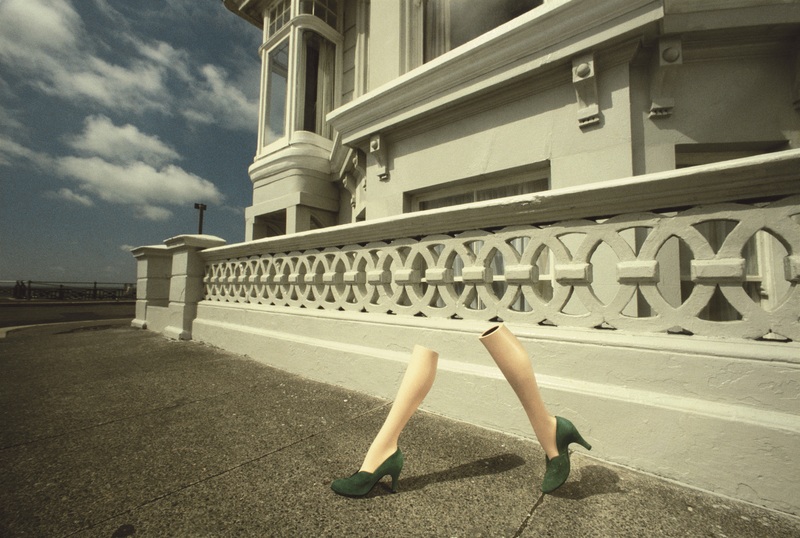 — photographing his ‘Walking Legs’ series for Charles Jourdan’s 1979 ad campaign. 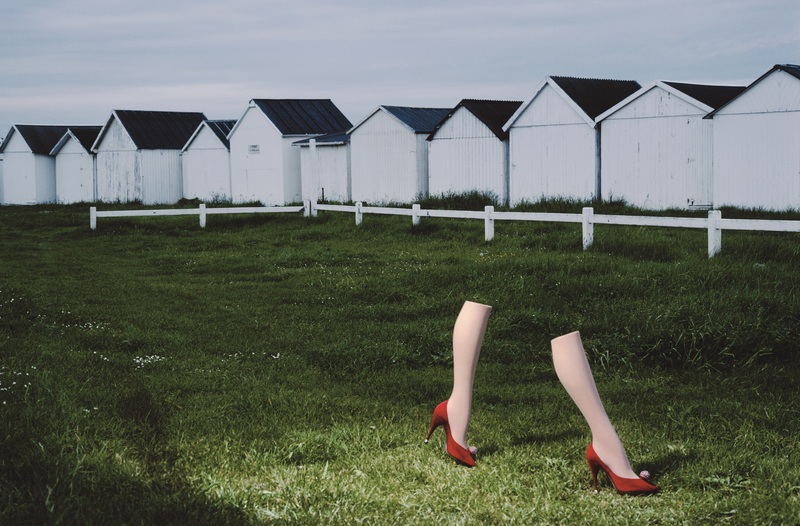 Eschewing conventional models, Bourdin shot mannequin legs sporting Jourdan shoes striding purposefully yet enigmatically past stucco-clad houses on Brighton’s seafront or concrete lamp-posts on drab London streets. Seen in these mundane settings, the dismembered legs look all the more bizarre. Overall, his work vacillated between the worlds of high-end fashion — like Newton, his models often inhabited decadent, ritzy hotel rooms furnished with satin-upholstered daybeds — and studiedly ordinary yet eerie environments, such as typically unpopulated, urban streets. Both scenarios have influenced other photographers since Bourdin’s death in 1991: the former was channeled by Nick Knight’s 90s fashion shoots which oozed high-octane glamour, while, arguably, the latter was echoed by Martin Parr’s snaps of Britain’s down-at-heel seaside resorts. In Bourdin’s dreamlike advertising images, the products being promoted don’t take centre-stage but vie for attention with other elements in the frame. You have to look closely at the shoes in his Jourdan ads to see them properly and even then you can’t make out much detail. This slyly subliminal approach to advertising was hardly surprising given Bourdin’s passion for Surrealism and its interest in the subconscious. It struck us both that this oblique style of advertising is far less common in today’s more commercial climate, which usually demands that products be clearly, unambiguously visible. 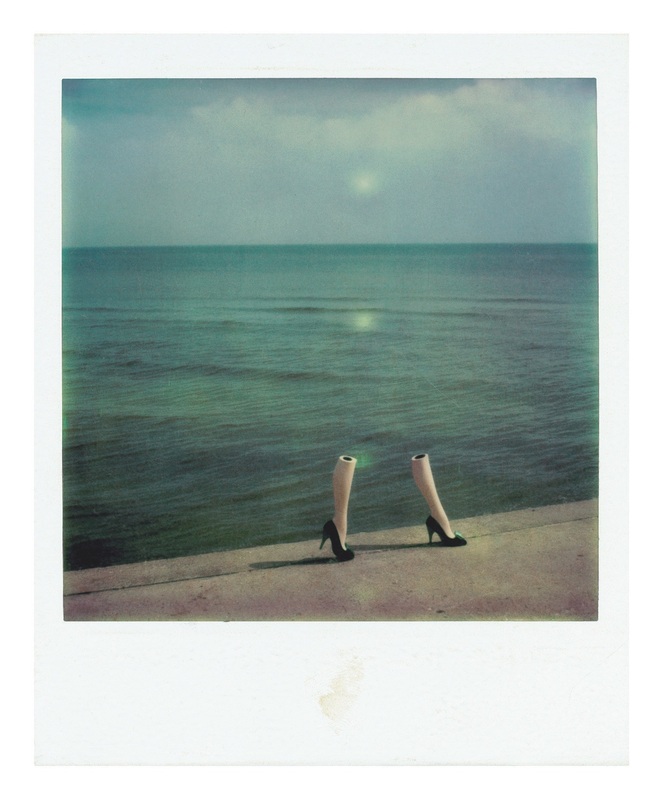 Bourdin’s images might play havoc with logic yet he left little to chance when creating them. He meticulously sketched out their composition and scouted locations in advance, and insisted on complete artistic control over his images, including how the models’ hair and make-up was done. He’d submit only one negative per image to his clients, and even indicated its precise position on the page. His clients in turn gave him the freedom to set his own terms because they implicitly respected his judgment. 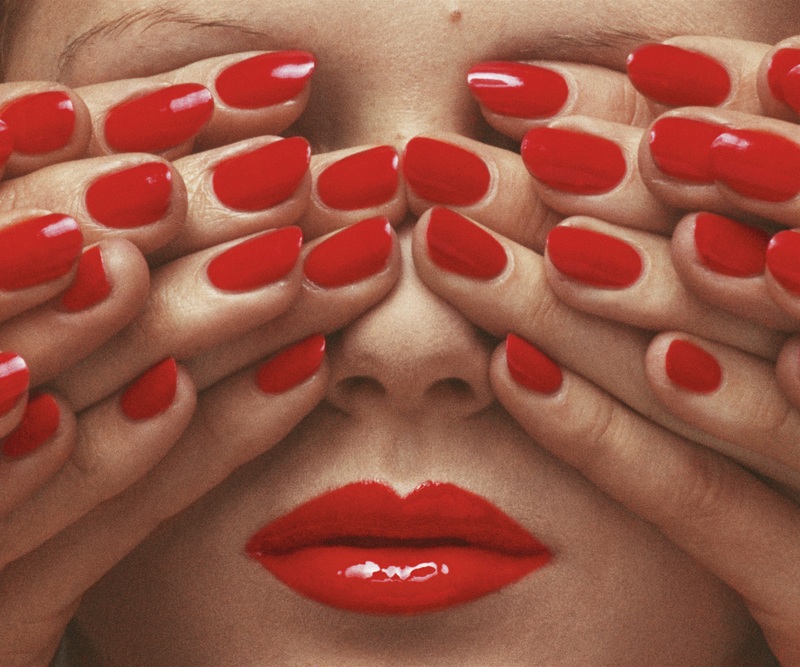 Bourdin was a rebel, too, refusing to exhibit his fashion photographs and rejecting the Grand Prix National de la Photographie offered to him by the French government. When choosing our favourite Bourdin image for our book, we plumped for a 1979 Charles Jourdan shoe ad (also displayed in the show) in gloriously saturated hues: gold, emerald, blood red, shocking pink… In it, a woman has flung herself with sheer abandon onto a black satin sofa, her legs suggestively astride a photo of John Travolta on the floor. One of the book’s final images, it perfectly captures late 70s high style — its obsession with sexual permissiveness, hard-gloss fashion, disco-mania and a burgeoning celebrity culture touted by hip rags of the day Ritz and Interview. This entry was posted in 70s celebrities, Art, Fashion. Bookmark the permalink.